En häftig bild som jag tog i Taipei i Taiwan för några år sedan. Foto: Anders Thorsell. Bilden är från National Revolutionary Martyrs' Shrine. 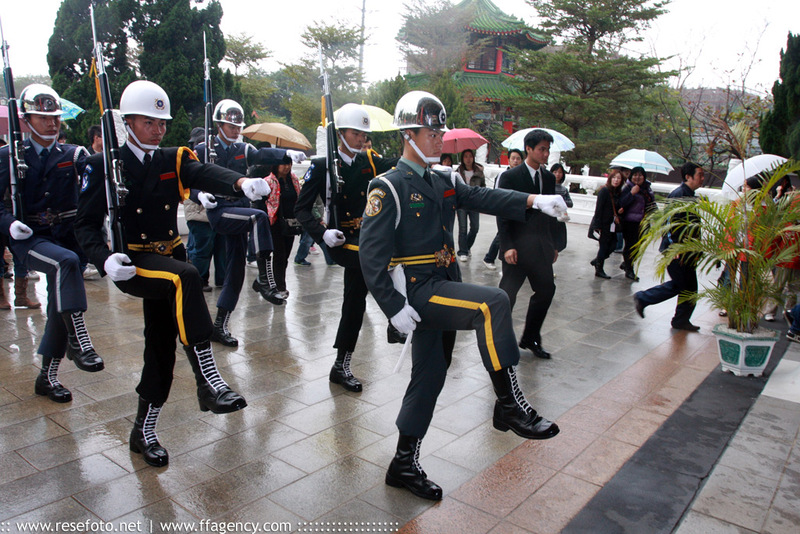 The National Revolutionary Martyrs' Shrine is a shrine in Taipei City, Taiwan, dedicated to the war dead of the Republic of China. The Martyrs Shrine recalls the architecture of the Hall of Supreme Harmony in Beijing's Forbidden City. The structure houses the spirit tablets of about 390,000 persons killed, among other engagements, during the Xinhai Revolution, Northern Expedition, Second Sino-Japanese War, Chinese Civil War, and the First and Second Taiwan Strait Crises. 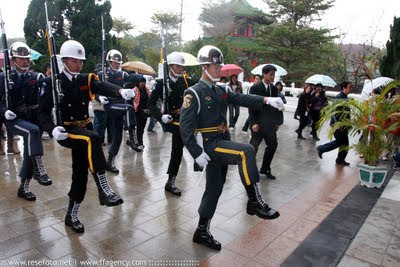 A changing of the honor guard from the various branches of the Republic of China Military, similar to the rituals at the Sun Yat-sen Memorial Hall and Chiang Kai-shek Memorial Hall, take place at the shrine.